Do you have daring faith? Which ONE thing do you need to do that you have been so afraid to do? And if you happen to be in ministry, working for Christ requires BOLDNESS. You can’t afford to be slack, complacent or lukewarm! I’m reminded of the four men with leprosy in 2 Kings 7:4-9 who faced a dicey situation – no food, famine, life issues. If you don’t do it, what will happen? If you do it, what will happen? If you really want to get ahead in life or business, you need to apply daring faith and just go. Life is full of risks. Each day you walk out of your door, you take a big risk but that doesn’t stop you from going to work, school or what you do daily. 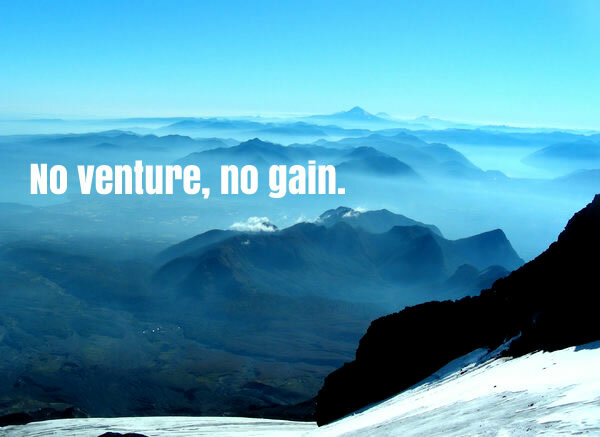 They say no venture, no gain and that’s true. How will you know if you don’t try? Lately I challenged myself to do things that I should have done ages ago. One of the things I did was to purge my inner circle. I identified the people in my camp who just didn’t catch my God-given vision and always afraid to take bold steps. For me to go forward and fulfill my destiny, boldness and fearlessness must be applied and have no room in my camp. You can’t hang out with small thinking people when you have big plans and huge vision that even you don’t know how you will carry them out. All you know is that the purpose must be activated and with daring faith, you totally rely on God to help you accomplish and win. Prudence is fine but too much of it can rob you of your destiny. What have you applied daring faith to lately? I would love to hear your comments and thoughts below!